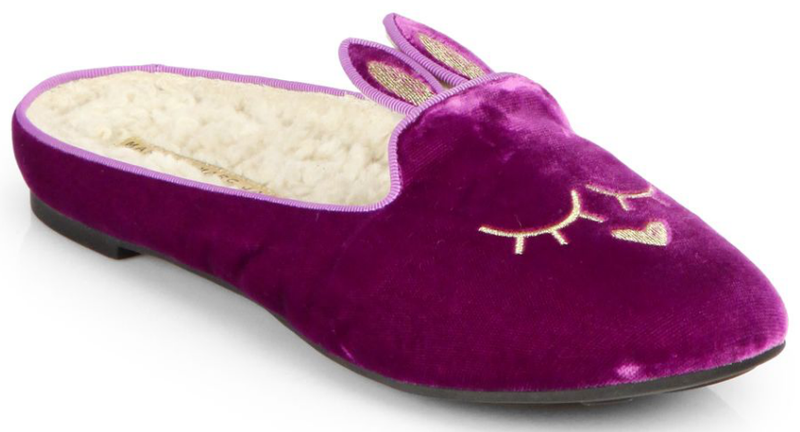 All I want for Christmas (or, rather, belated Hanukkah/Solstice/Festivus) are these Sleeping Bunny Slippers from Marc by Marc Jacobs. I've had a crush on MJ's ubiquitous mouse flats for ages but find them to be a little too cutesy for everyday, especially now that my 20s are behind me. But cutesy slippers? That I can do, and there's nothing more adorable than this pair in plush sherpa-lined velvet.